BOY – a contagious confection that has spread across the internet like wildfire. The Hamburg-based duo gets your toes tapping, mind playing, feet moving, emotions travelling, head thinking, hips jerking. But above all, they make music that brings a smile to your face. Imagine a mix of the art school elegance of Phoenix, the lively melodics of Feist and the emotional depth of Bon Iver. But to draw such comparisons is superficial and not especially helpful because what you miss is the originality of the BOY concept and the charisma of its two performers. The BOY phenomenon began this summer with their first single ‘Little Numbers’. Now, having conquered their native Germany and Switzerland, they are shipping their sharp brand of pop to the rest of Europe. BOY are both girls. Valeska Steiner sang in several bands in her native Switzerland before moving to Germany, where Sonja Glass grew up, playing the cello in classical orchestras as a child, and later working as a bass player for several pop bands. The duo met when Valeska won a place at a prestigious summer holiday music workshop in Hamburg. There she met Sonja, who had recently returned from a spell studying bass guitar in Holland. BOY’s debut album, “Mutual Friends”, is an autobiographical affair. “It’s about arrivals and new beginnings,” says Valeska, whose songs are written and sung in English. “About hopes and dreams and aspirations. We want to make music that’s positive and hopeful,” explains Valeska,. “There is more to music than heartbreak and loss,” agrees Sonja. BOY played most instruments on the record themselves. Only in some cases, such as drumming duties, a rotating roster of friends jumped in to play, among them Phoenix’s live drummer Thomas Hedlund. Their irresistible debut single “Little Numbers”, which has sparked countless YouTube tributes, is something of a straggler, being the last recorded from the sessions. But this is arguably precisely why the track is imbued with such a rambunctious drive and dizzying joyousness; it is the product of studio playtime, the long-awaited period where musicians can relax and have fun knowing – wrongly as the case may be – that all the work is done. The colourful video, shot on the streets of Barcelona last summer, has already clocked up nearly two millions YouTube hits since it was uploaded in July. And the song swiftly spawned countless tributes from fans posting their own versions. 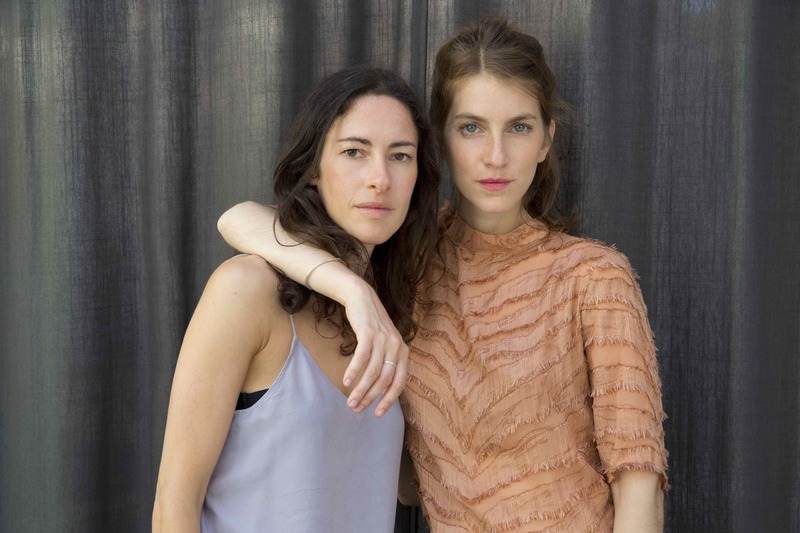 BOY’s “Mutual Friends“ is an intoxicating mixture to lift even the dullest day out of the doldrums and the direct result of the refreshingly lively and humorous personalities of Valeska and Sonja. BOY sing smart, sharply-observed songs with hooks you can’t get out of your head and lyrics that come from the heart. With its irresistibly breezy optimism, it’s one of those out-of-nowhere pop hits that gets into your head and won’t go away. BOY’s songs reveal inventive twists, adding subtle experimental touches to a conventional pop palette of guitar, piano drums and bass. [MTVIggy] A fabric store made a cozy venue for our exclusive sesh with the girls of rising Swiss/German pop duo Boy. We curled up for an intimate chat with Valeska Steiner and Sonja Glass and got a command performance of one of the prettiest (and catchiest) songs we’ve heard in a long time. Watch here.